In 2018, I will be starting each week with the most played song in my musical playlists from the preceding week. People ask what I’m currently listening to. This feature will allow you to see exactly that. This week’s buzz worthy clip comes from Sisters. 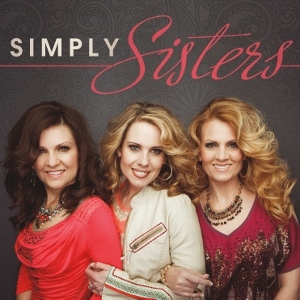 As Christians around the world celebrate Good Friday, I thought it fitting to feature this song from the group’s latest album, Simply. The first single from the album, “It Was Finished On The Cross”, is a powerful reminder of Christ’s sacrifice on the cross. A song that has been a part of Easter programs for over five years. “It Was Finished On The Cross” was penned by Kristie Braselton and Regi Stone. This week’s buzz worthy clip comes from the Dunaways. I decided to go back to their acclaimed 2014 album, Church In The Kitchen. The fifth single from the album, “Never Gonna Give Up On You”, is a powerful message in song, featuring Tammy Dunaway. This album is one every Southern Gospel listener should have in their collection. I would easily rank it as one of the ten best albums released over the last five years. “Never Gonna Give Up On You” was penned by Julie Anne Miller. This week’s buzz worthy clip comes from the Down East Boys. I named their 2016 release, Ransomed, one of the top five albums of 2016. It was also the highest ranking quartet album of the year. The third single from the album, “The Song Of The Ransomed”, is a soaring power ballad featuring Ricky Carden. If you still don’t have any songs in your musical playlists from this album, this is the song you want. “The Song Of The Ransomed” was penned by master composers Sue C Smith and Dianne Wilkinson. This week’s buzz worthy clip comes from the Nelons. The group released two new albums in 2016 and both were among the top ten in my annual countdown. The latest single from the album, Family Harmony, is in tribute to the late Rex Nelon. Autumn and Amber share verses on this folk infused tune. “When Grandpa Sang Amazing Grace” was penned by Barbara Huffman and Wayne Haun. This week’s buzz worthy clip comes from solo artist John Bowman. John toured many years with the Isaacs and is the husband of Isaacs member Becky Bowman. John’s latest album, Beautiful Ashes, released in December 2015. The third single from the recording, “Reach Of His Hand”, is a song every Southern Gospel listener should have in their musical playlists. Penned by Sonya Isaacs and Tim Surrett, “Reach Of His Hand” was originally recorded by the Isaacs on their 2000 recording, Stand Still. This week’s buzz worthy clip comes from the Ball Brothers. The group had one of the top ten albums in 2016 with the release of Dynamic. While the album was all previously recorded music, the Ball Brothers brought these covers to life. One such cover, “Jesus Cares For Me”, was originally recorded by MercyMe front man, Bart Millard on his 2008 solo album; Hymned Again. Thad Cockrell joined Bart to pen this week’s buzz worthy clip.